Welcome to TracfoneReviewer, a blog about Tracfone Wireless cell phones. If you're new, take a look around, as we share lots of tips, news and reviews relating to Tracfone. 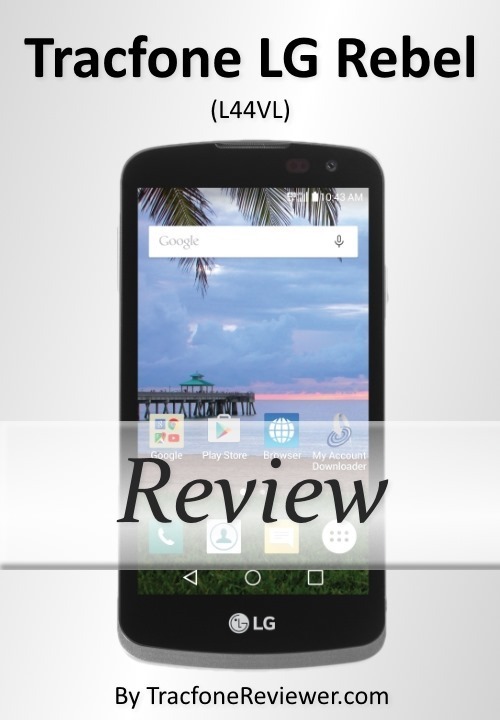 Below is our review of the LG Rebel, a newly available phone to Tracfone prepaid customers. Tracfone's LG Rebel is a versatile but basic smartphone recently released on the Tracfone website and through many other retailers. It comes with a 4.5" screen, quad-core processor, and 8 GB internal memory, among other features. 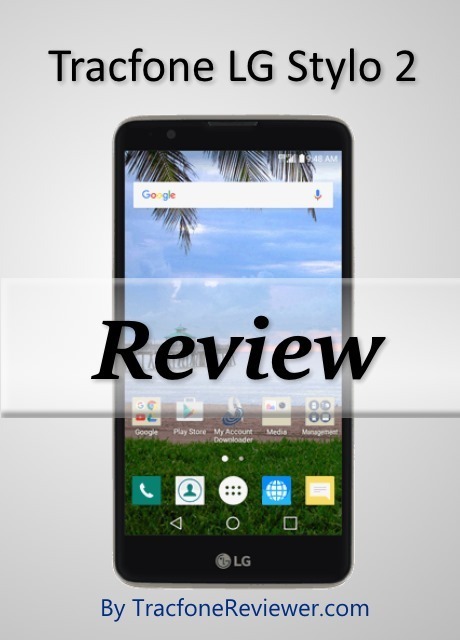 There has been quite a flood of new smartphones from Tracfone over the summer of 2016, and the LG Rebel comes in at one of the more budget friendly options. We recently reviewed the LG Stylo 2, which has a large, 5.7" screen, but is about twice the price of the Rebel. You can learn more about the new phones coming to Tracfone by reading our posts, New LG/Samsung Devices coming to Tracfone, New Alcatel/ZTE Devices coming to Tracfone, and New Apple iPhones Coming to Tracfone. The Rebel is very similar to the LG Treasure, in fact, the non-Tracfone versions are called the LG K4 (Rebel) and LG K7 (Treasure). The Treasure is the step up from the Rebel, and has a few improvements, which we will go into more detail about a little later. Tracfone has also recently released the LG Premier, which is in the same lineup as the Treasure and Rebel, with with slight improvements over both (such as a larger, 5.3" touchscreen). LG is one of the worlds top ten mobile phone makers, along with a large number of other manufacturing operations, such as TV's, appliances and much more. They are a South Korean company that operates globally and has phones ranging from budget to high-end and everything in-between. The LG Rebel is a newer phone, released in early 2016, with Android 5.1 and aiming to be a budget friendly smartphone. Let's see the full list of features that come with this phone. Size: 5.20" x 2.62" x 0.36"
The LG Rebel (L44VL) is the CDMA version of the phone, and will use Verizon's 4G LTE network through Tracfone. There is also the GSM version, known as the L43AL, which will use AT&T towers and have the same features and specifications. What might be confusing for some is that Walmart is already selling both versions, but calling them both the Rebel. 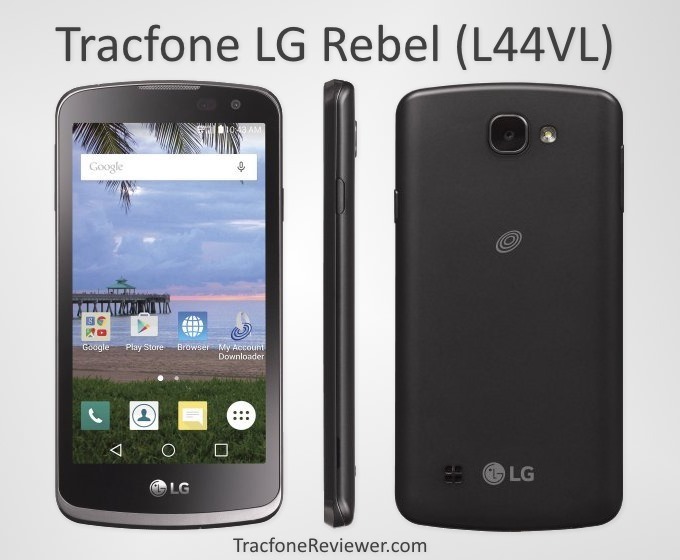 We expect Tracfone has a different name for the L43AL version, but do not know what it will be yet. Just be aware which version you need, and if you want the GSM version, Walmart already has that available for purchase. Now for our review of the LG Rebel, where we share our pro's and con's for this device. As with our review of the LG Treasure, there is a lot to like about the LG Rebel as it is a low-cost smartphone with very reasonable features and performance. We also like that it is widely available, with both CDMA and GSM versions. The Rebel has a Qualcomm Snapdragon™ 1.1 GHz Quad-Core processor which is very responsive and quick. It also has a 5 MP rear camera which includes LED flash and autofocus plus HD video recording. The front camera is 2 MP and good for video chatting and selfies, although the quality isn't quite as good as the LG Treasure. This smartphone comes with Android 5.1.1 which is a newer version of the OS, but not the newest. With Tracfone smartphones, you aren't able to update the operating system for various reasons, so it is good to periodically upgrade your phone to one with a newer OS to avoid vulnerabilities older operating systems may have. So if you're using an older smartphone with Android 4.1 or 4.3, you might consider upgrading to the Rebel just for the newer OS, although you will probably also see a nice performance increase as well. We like the overall appearance and performance of the Rebel. LG is well known for making dependable smartphones, and the Rebel is no exception. Be aware that this phone is a budget smartphone, so it probably won't keep up with the demands of someone who uses their phone often, but for low to moderate users, this is a good option. Before conclude, we do want to give some drawbacks about this phone we think consumers should know before buying. First on our list of dislikes is the low RAM and internal memory. This is something almost all of Tracfone's more budget friendly devices are plagued with, and we hope that better options will be available soon. For most users, 1 GB RAM is fine, but if you run multiple apps at once, you may see some lag or slow down. And with only 8 GB internal memory (about 3-4 GB usable) you will have to be mindful about what you put on the phone. The Rebel does have a Micro SD slot, so you can add up to 32 GB external space to the phone. The screen size on the Rebel is 4.5", which is the same as the LG Ultimate 2, but a little on the small side for average smartphones these days. Some prefer a smaller screen, but if you have trouble typing on the virtual QWERTY keyboard, or want more space for reading or viewing pictures/video, consider going with a phone that has a larger screen. The LG Stylo has a 5.7" screen, which makes typing on the virtual keyboard much easier. Finally, the cost of the LG Rebel on the Tracfone website is a little high, especially when you compare it to the LG Treasure available from HSN. The Treasure comes with a bundle of airtime worth $100, and retails for $129 (we have seen it at $99). The Rebel is $99 on the Tracfone website, although other retailers have it for less. If you think you may want a screen larger than 4.5", then you should consider the Treasure or other devices, but if you like the 4.5" screen, the Rebel is a good phone. Get even more details about the LG Rebel by taking a look at the User Manual or the Interactive Tutorial. Should You Upgrade to the LG Rebel? Many of our readers have already been asking if the Rebel is a good phone to upgrade to from older Tracfone smartphone devices. The answer depends on how much you use your phone, and your personal preferences. For those who have older devices like the LG Ultimate 2, LG Optimus Fuel, or even the LG Optimus Dynamic 2, the Rebel might make a good phone to upgrade to as it will run faster and more smoothly, and also use the newer, Android 5.1.1 OS. Those who like to use their phone often, or want a larger screen, consider some of the other phone options available from Tracfone, or even look into Tracfone BYOP. The LG Rebel is already available form a number of retailers. It generally goes for $79, although the Tracfone website has it for $99. The Rebel is also available on QVC.com bundled with airtime, which can be a great value. We expect it to be available in most of these retail stores as well. Let us know if you find any better deals on it. There are plenty of options for Rebel Cases and Covers on Amazon. If you're looking for a case, remember that the LG Rebel is the same as the LG K4, so you can search for that as well. Overall, the Rebel is a good but basic smartphone that will be best for low-moderate users. It may also be good for first time smartphone buyers. 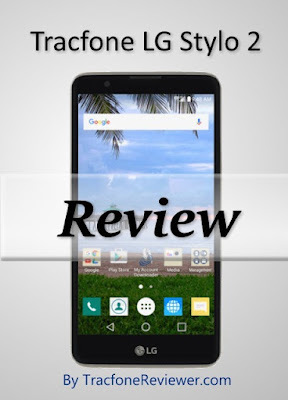 We hope you found this review useful in learning about the LG Rebel form Tracfone. Leave a comment below with your thoughts, questions or any corrections. Also check us out on Facebook, where we have an active community of Tracfone users and share news, tips and answer questions! Below is our review for the LG Stylo 2. If you're new to TracfoneReviewer, be sure to take a look around at some of our recent articles. We share lots of news, reviews and other info about Tracfone. 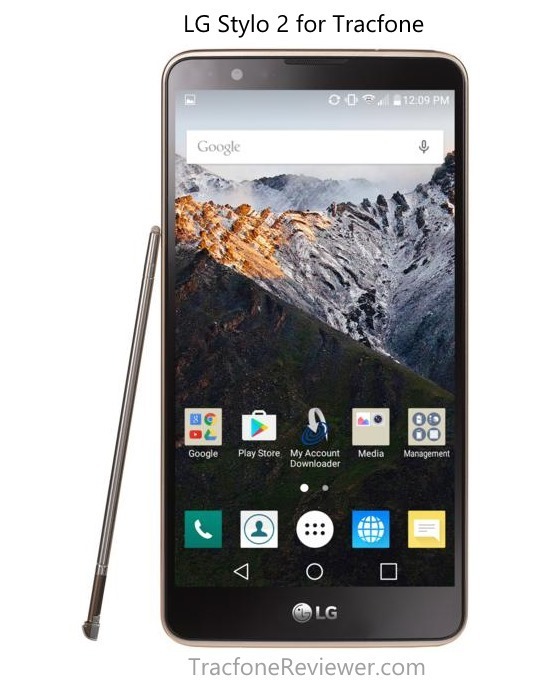 The LG Stylo 2 is a newly released smartphone available for use with Tracfone prepaid cell service and comes with Android 5.1.1, 8 MP camera, and uses GSM networks. It also features a large, 5.7" touchscreen which may be its biggest selling point. Tracfone is releasing a large number of new smartphones over the summer of 2016 and the LG Stylo 2 is one of many that are already available. We're doing our best to keep up with ll these new devices, and you can learn more by taking a look at our recent posts; New Samsung and LG Tracfone Smartphones, New ZTE, Alcatel and Huawei Tracfone Smartphones, and News about iPhones coming to Tracfone. The LG Stylo 2 is a mid-level phone that is a step up from the LG Treasure we previously reviewed (which is a step up from the LG Rebel). The Main difference between the Treasure and the Stylo 2 is the screen size, which the Stylo 2 has the advantage on. Let's take a look at our quick facts about the LG Stylo 2 to get a general idea of its strengths and weaknesses. The LG Stylo 2 is a little bit more expensive than most Tracfone smartphones, but it also has some better features than most. It is a newer phone, only released in April of 2016, and has mix of features that make it a capable device. There are two versions of this phone, the GSM version we are reviewing here, and the CDMA version known as L82VL, which Tracfone should be releasing sometime in the near future and will likely be identical except for the cell towers it uses. The naming of the Tracfone LG Stylo 2 is a little confusing, as many of the specs are more in line with the LG G Stylo, rather than the LG Stylo 2 unlocked version. But the size matches the LG Stylo 2. Spec-wise, the Tracfone version of the LG Stylo 2 is not as powerful as other versions listed on the internet. Let's take a look at the full list of features for the Tracfone LG Stylo 2. Size: 6.10" x 3.13" x .29"
There's not too much that is surprising about these specs beyond the large screen size on the Stylo 2. The rest of the specs are fairly consistent with other LG phones released recently like the LG Treasure, although the Stylo has some minor improvements such as the 8 MP camera. Below we will cover the pro's and con's for this phone to highlight some of the things we think consumers should be aware of when making a buying decision for this device. With every phone, there are various pro's and con's and the Stylo 2 is no exception. Obviously the big screen is the big selling point for the Stylo 2, and we like that Tracfone is making a device available to consumers with a nice large screen. While making it easier to see things on the screen, it is also easier to type on the virtual QWERTY keyboard because the keys will be larger compared to smaller phones. The resolution and quality of the screen is good, and delivers a nice viewing experience, although it doesn't quite keep up with higher-end devices such as the Samsung Galaxy S6. The LG Stylo 2 runs Android 5.1.1 which is a newer version that doesn't have some of the security risks older versions like 4.1 and 4.3 had. With Android OS, you can use the Google Play Store to browse over 1 million apps that will do just about anything. When you find one you like, you can download it directly to your phone. If you're new to using Android, take a look at our post on the Best Apps to use on Android where we share some of our favorite apps. The 8 MP rear facing camera is a nice step up from 5 MP which most other Tracfone devices come with. Plus, the LG Stylo 2 has a 5 MP front camera for video chatting and selfies. The quality is adequate for most needs, but don't expect to win any photography awards for your pictures. There's a lot to like about this phone, and we find it to be one of the better options currently available from Tracfone, but there are a couple negatives that we want our readers to be aware of before they buy. There are a few things about this phone that aren't ideal, and make our list of dislikes. The main things are the cost, the lack of a radio, and low memory and RAM. The current price of the LG Stylo 2 is $199 with a bundle of minutes worth $100. That's not a bad deal to be honest, but at the same time, we can't help but mention a few phones that you could get for the same amount of money (but without the minutes bundle). The main one on our list is the new Motorola Moto G 4th generation currently available on Amazon. It has a 13 MP rear camera, 16 GB memory, octa-core processor, and much more. But it also has a smaller screen at 5.5" and you will have to use it with Tracfone BYOP. One feature that many Tracfone users like is a radio, and sadly, the Stylo 2 appears to be lacking that. There are a number of alternatives to radio, like podcasts, and various music streaming services like Pandora and Spotify. So it isn't too hard to find a replacement. Lastly, we aren't all that excited about the 8 GB internal memory in the Stylo 2 and 1 GB RAM. It would be nice if it had a little more memory for storing apps and other things. For most users, 8 GB of memory will be enough to have a fair number of different apps, along with some photos and other content. That covers our list of likes and dislikes. We hope that helps our readers understand exactly what this phone offers, and were it might be lacking. Overall we don't have that is negative to write about this phone, it performs very well compared to other Tracfone smartphones. We've gathered both the user manual and an interactive online tutorial from Tracfone for the Stylo 2 that you can use to learn how the phone works. See the LG Stylo 2 User Manual Here, and take a look at the Interactive Tutorial here. This phone has a nice, large screen. And for many, that will be very convenient and a lot of fun. It makes watching videos, viewing pictures, and even texting, easier. The rest of the performance features on this phone are adequate to keep up with the daily demands. For those who don't like large screens, or need a lot of internal memory, then this isn't the phone for you. For more internal memory, consider looking into unlocked devices to bring to Tracfone BYOP. For a smaller screen, the LG Rebel and LG Treasure are two options. The LG Stylo 2 is currently available from HSN for $199. It has occasionally been on sale for $179. We will update when the phone is available elsewhere. If you find this phone at other retail locations, let us know in the comments section below. That concludes our review of the LG Stylo 2, we hope the information is helpful. Leave a comment with any questions or thoughts, and let us know if you see any corrections. For more Tracfone smartphone related content, take a look at our recent analysis of the changes Tracfone made to Smartphone Airtime cards. Are you on Facebook? Because we are! Join our community of over 2000 on Facebook where we post the latest articles, and other news and info. TracfoneReviewer is an independent website that provides news, reviews and other information about Tracfone. We always try to provide helpful and accurate information, and appreciate our readers who also help keep us informed. 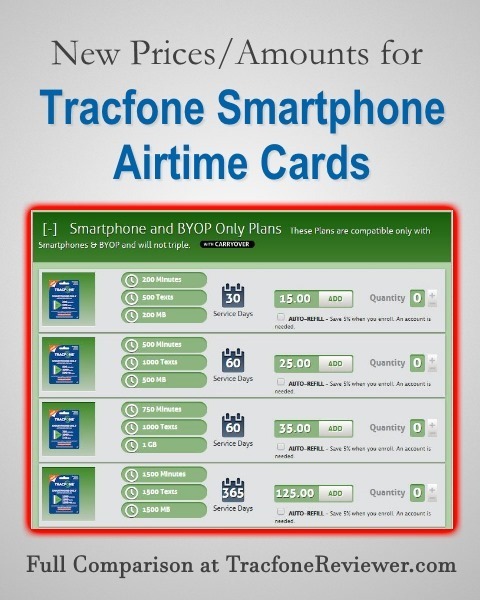 At the end of 2015, Tracfone added new airtime cards that are for smartphones only. These cards gave certain amounts of talk time, texts and data. They are significantly different from the regular Tracfone airtime cards which come in amounts ranging from 60 to 450 minutes. In general, the smartphone only cards were a better deal, as they gave a lot more texts compared to the regular cards, which is what most smartphone users run out of first. We compared the Smartphone Only cards to Regular Airtime cards in this post from December 2015 (which is now outdated) but Tracfone has now changed the smartphone only cards with new prices and amounts of airtime you get. They also changed how many service days you get. Below we will go through and compare the old smartphone-only cards with the new smartphone-only cards and see what the changes mean. We will also include the regular cards for comparison. Tracfone has not made any changes to their regular airtime cards, and we expect they will continue to offer them at the same prices and amounts. Along with making changes to the smartphone only cards, Tracfone also made some changes to their Text-only card and Data-only card (these cards give only additional texts or data, and no extra service days). But the only change they made was to reduce the price, which is great! These prices are only available on the Tracfone website, but we expect retailers to eventually change their prices to match. This is a huge reduction in price, and makes buying extra data or texts much more affordable. Remember, these cards can only be used if you have a smartphone with Tracfone (which includes BYIO devices). Now let's get into the changes Tracfone has made to their smartphone cards. These changes are a little difficult to compare, because they changed the prices on the cards, the amounts of talk, text and data you get, and also the number of service days. We've subtracted the cost of service days from the original cost to be able to just look at the airtime casts. We've used $50 for 1 year service as the base price for airtime(because you can buy that as an add-on from the Tracfone website), which comes to $4.167 per 30 days. There are a number of conclusions you can make from looking at the table, but the main take away for us is that the new smartphone only airtime cards are generally a better deal and especially a better deal when it comes to data compared to the old smartphone cards. Take a look at the cost per data (MB) for both the new and old smartphone only cards. The new 500 minute and 750 minute cards are a much better deal when it comes to buying data, and pretty close to the same for talk and text costs. This table shows how many talk, text or data minutes you get per dollar. For example, with the regular 1 Year/400 Minute card, you will get 72 talk minutes per dollar, 72 texts per dollar, and 72 MB data per dollar. Notice the smartphone only cards, for these you get very different amounts of airtime per dollar, depending on the card. So, the 500 and 750 minute smartphone only cards offer the best value per dollar you spend. We've got one more table that we think will be helpful for those trying to decide which airtime card best suits their needs. In this table, we've multiplied each airtime card so that they all have 1 year of service, and then listed how much it would cost, and how much talk/text/data you would get. Looking at the table, we can see that, somewhat surprisingly, the best deal if you just need more service days is the regular 60 minute airtime card. The 120 minute card and 1500 minute smartphone card are almost the same. Check out the 500 minute smartphone card, it gives you twice the talk and data, four times the texts, for just $25 more than the 1500 minute smartphone card. The key takeaway from this table is that, depending what you tend to use most, different cards are a much better deal. We get a lot of comments from people who just need service days, and looking at the table we can see either the 60 minute card or the 1 year/400 minute card are both pretty cheap. But the best deal for just buying extra service days would be to get the 200 minute smartphone card, and then add on the 1 year of service for $50 (only on the Tracfone website) for a total of $65 (before taxes). Form the changes to these new smartphone only cards we can see that you generally get more data for your money, but less service days. Keep this in mind when adding the new smartphone cards, you only get 60 days (or 30) instead of 90, but that doesn't mean they are not a good deal. It appears then that Tracfone is just adjusting the smartphone cards to make them a little more balanced, and give users more data to use with each purchase, which may have been based on feedback they received. The changes made to smartphone airtime cards is somewhat subtle, so it may be helpful for each user to take a look at the numbers and determine which airtime card best suits their needs. Remember, the regular airtime cards have not changed, and are not changing (as far as we know). Leave a comment below with your thoughts or questions about the changes to Tracfone smartphone airtime cards. We are interested to know what our readers think. We want to thank those that helped contribute to this post and keep our math correct. 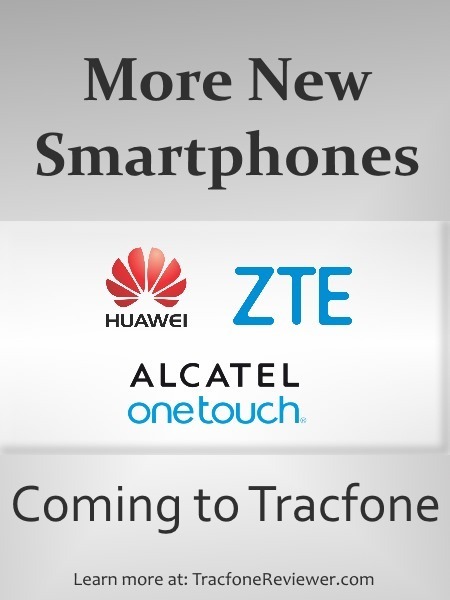 We've been sharing a lot of news on new Tracfone devices, including new Samsung and LG Tracfone Smartphones, New ZTE and Alcatel Smartphones, and news about iPhone devices coming to Tracfone. Follow the links to learn more, and look for reviews of these new phones soon! Join over 2000 other Tracfone users who follow us on Facebook where we post the latest news, deals and tips about Tracfone. You can also send us a message there if you have specific Tracfone questions. View and download the tables we created for yourself on google drive. 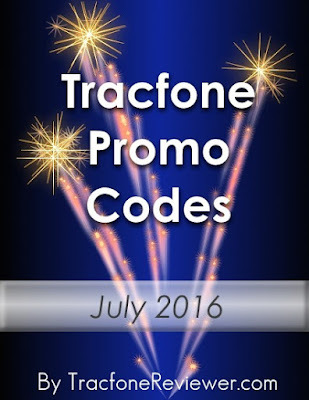 Every month TracfoneReviewer collects and shares the best promotional codes for Tracfone here on our blog. Below you can find just the latest codes that are working for the month of July. We hope these codes help get you some extra airtime for free! Summer is in full swing and we've got a new selection of promo codes to use with Tracfone. These codes are released by Tracfone for their customers to use when adding a new airtime card. All you need to do is use the five digit pin along with the proper airtime card and you should get some extra minutes for free. The bonus airtime ranges from 20-300 minutes, depending on which card you will be adding to your phone. Each promo code is for a specific airtime card, but can also be used with cards of greater value. Some codes may only be used once, while others can be used multiple times. Remember, these promo codes will no work with Tracfone Android smartphones. For those who might be considering upgrading, take a look at our atest post about New ZTE, Alcatel and Huawei phones coming to Tracfone, including news about the Nexus 6P. We also recently shared details about Tracfone releasing iPhones to use with their service. So follow the links if you're interested in learning more. Below you can find a list of promotional codes for the month of July. We also have many more codes you can try on our main Tracfone Promo Code page. The latest promotional codes for Tracfone. Note, these do not work with Android smartphones. These are the latest codes to use with Tracfone. Note, some of these codes may expire July 14th, but we will update if that is the case. Leave a comment below with which code you tried and how it worked for you. Also take a look around this blog if you're new, we offer lots of Tracfone related information beyond promo codes. You can see our recent list of Tracfone deals and discounts, which may be helpful if you're considering a new phone. Also take look at the New LG and Samsung Phones becoming available. There are some good phones coming out like the LG Stylo 2. And join nearly 2000 other who follow us on Facebook and keep up with the latest news and posts. We also have a helpful community to share experiences and answer questions. Below is the latest news about several smartphones coming to Tracfone in the near future. 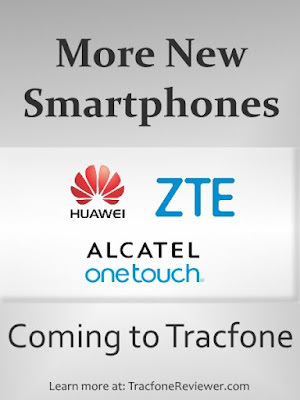 TracfoneReviewer strives to share the latest news and information bout Tracfone and we hope you find this useful! We've already covered some of the new LG and Samsung phones that are coming soon, and some of these phones are already available such as the LG Treasure, LG Rebel, LG Stylo 2 and others. Tracfone is also releasing a number of different Apple iPhone devices, including the iPhone 6 and 6S. Follow the link to learn about these high-end smartphones. All this will likely come at a cost, and we suspect the Nexus 6P from Tracfone will be listed for somewhere around $500. If you really want this phone with Tracfone, but don't want to pay the price they will charge, you might be able to find refurbished options for less, and bring it to Tracfone's BYOP program. Check out our recent list of Deals, Discounts and Sales on Tracfone Devices, which also included some great deals on BYOP compatible phones.